I followed Erin on Instagram before I moved to Rhode Island. We became friends through mutual friends and our love for lowered cars and dachshunds. When she asked me to be her wedding photographer, I immediately said yes! It's amazing how a simple follow on Instagram can create an awesome friendship. 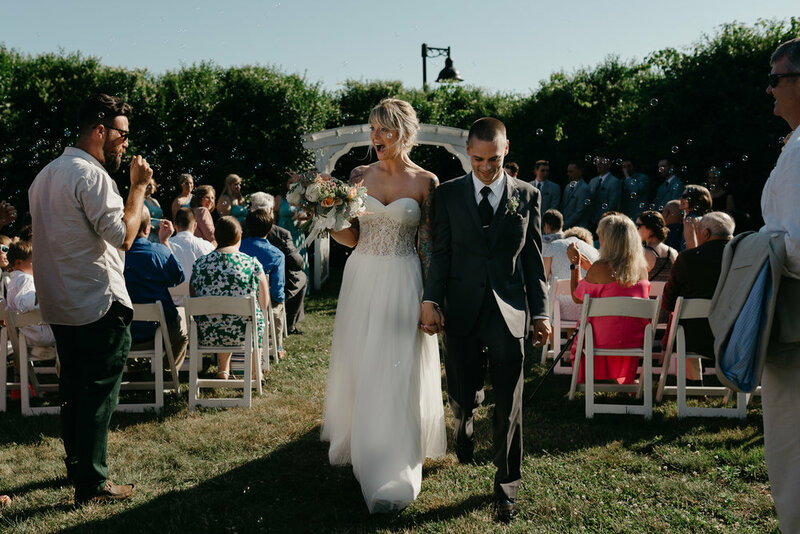 Erin + Jesse said 'I do' surrounded by friends and family at Kinney Bungalow in Narragansett. I may have favored this wedding over others because of their love for dachshunds (see below! ).